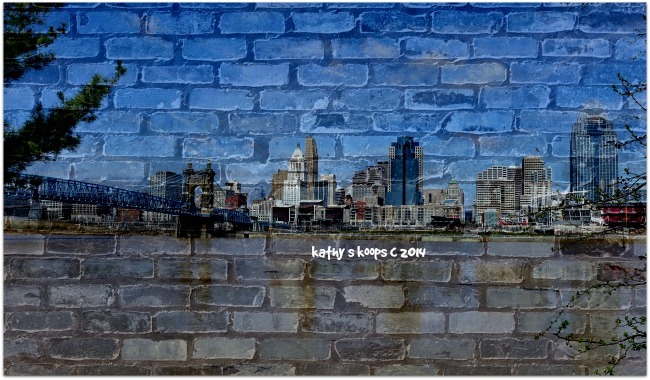 2014 home sales in the Cincinnati area continue to send mixed messages about the health of the local real estate market. 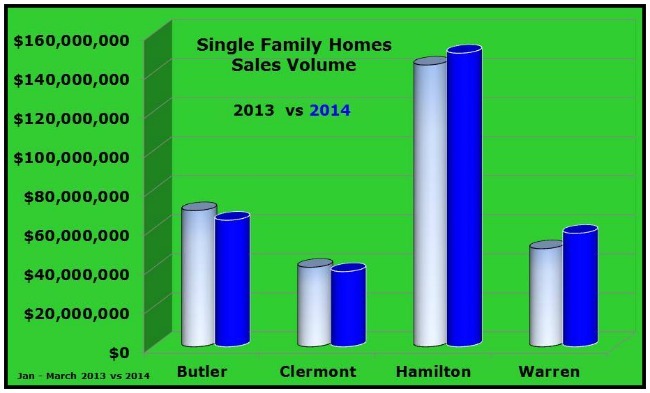 Cincinnati single family home sales continued to follow February’s trend with sales volume in Hamilton and Warren Counties edging ahead of 2103 and for the second month in a row Butler and Clermont Counties lost ground. According to data pulled from the CincyMLS. The quarter ended well with all the counties experiencing average sale prices in 2014 exceeded 2013 – a good sign that while the overall sales volume may be lower but prices are inching up -just a little. Hopefully with winter sending in the last blast, sellers waiting for spring will finally get off the fence and start listing their properties for sale. Sounding like a broken record-the continued lack of new listings (waiting till the real spring) continues to impacts buyers who are are ready to buy. Remember real estate is local and while some parts of the country are experiencing a real estate boom, we’re marching along at our own pace. And that’s a good thing because we don’t want skyrocketing prices today to be followed by a roller coaster of ups and downs in real estate values. Want to list your property or start house hunting now-Click here to to Call: 513-300-4090, or by email .